At Taste It Presents, we know foodservice. We’ve been satisfying loyal foodservice customers for almost two decades. Known for our zealous attention to detail, pastry-chef quality, authentic recipes and all-natural, imported ingredients; we create desserts that your customers will crave and remember as much as your signature entrée. 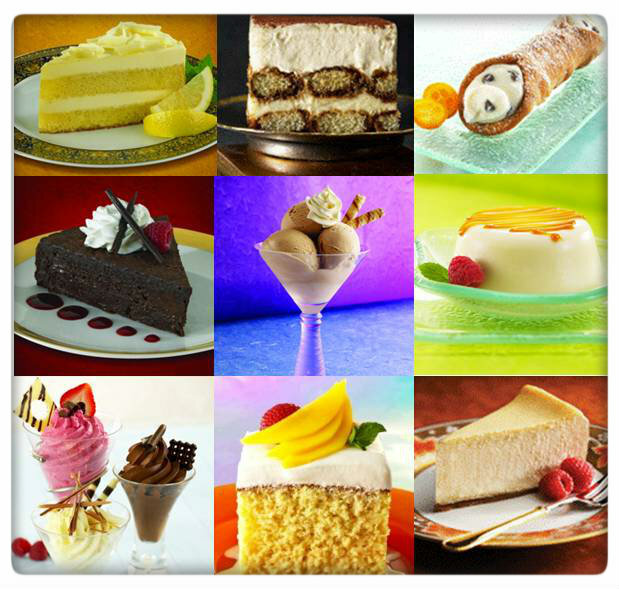 Our line of Italian, Latin and continentally-inspired desserts include standouts like tiramisu, toasted almond cream cake, Limoncello mascarpone, artisan cakes, mousse desserts, crème brûlée, gelato, and cannolis plus Kosher, gluten-free and sugar-free items. Take a look around and choose from our wide variety of ready-to-thaw and serve items, or let our award-winning R&D team develop a custom creation for your company. Dessert is the last impression you'll make on a customer.Make sure it’s a good one. Products are all natural - no additives or preservatives.